BLUESTAR SERVICES, NOBLY POS OWNED STAND, NOBLY BRANDED HECKLER STAND, RESTRICTED TO NOBLY POS Barcoding Store, powered by Strategic Mobiltiy Group, LLC (SMG3) offers globally recognized products and industry-leading solutions to enhance your organnization's productivity. Combining optimal search functionality and industry-leading products from Zebra, Honeywell, AML, etc., Barcoding Store creates a superior shopping experience unlike any other withing our industry. 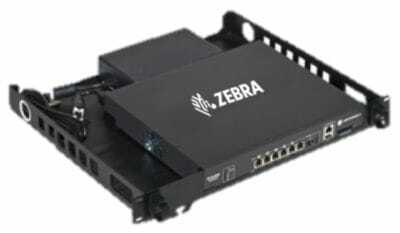 ZEBRACARD, S/W,CARDSTUDIO UPGRD,CLSC-STD Barcoding Store, powered by Strategic Mobiltiy Group, LLC (SMG3) offers globally recognized products and industry-leading solutions to enhance your organnization's productivity. Combining optimal search functionality and industry-leading products from Zebra, Honeywell, AML, etc., Barcoding Store creates a superior shopping experience unlike any other withing our industry. DIGITALSIGNBUILDER.COM, 32"C TOUCHSCREEN HOTEL LOBBY KIOSK WITH MEDIA GALLERY, AREA ATTRACTIONS, EVENT TIMES, AMENITIES, ON PREMISE SERVICES, & MORE! INCLUDES COMPLETE CONTENT CREATION, SOFTWARE, & M Barcoding Store, powered by Strategic Mobiltiy Group, LLC (SMG3) offers globally recognized products and industry-leading solutions to enhance your organnization's productivity. Combining optimal search functionality and industry-leading products from Zebra, Honeywell, AML, etc., Barcoding Store creates a superior shopping experience unlike any other withing our industry.